Mistakes to Avoid After a Florida Car Crash | DeLoach, Hofstra & Cavonis, P.A. Emotions run high in the moments after a car accident, and people who are injured may make many mistakes in the weeks following the crash. Unfortunately, these errors can have long-lasting effects, including barring victims’ rights to recovery from their insurers or filing accident claims. It's vital that people know what to do after a car accident—and that includes also knowing what not to do. Forgetting to gather contact information. Most drivers know they should exchange names and insurance information after a crash. However, they may neglect to ask for other necessary facts, including drivers’ license and license plate numbers; makes and models of vehicles; and the names and contact information of passengers, other drivers, and witnesses. Neglecting to call the police. You should always call the police to an accident scene, even if the accident is minor. Police reports are usually seen as objective descriptions of the accident, preventing both drivers from making false claims. A police report is used in both the insurance claim and a personal injury case, and failure to call law enforcement denies you this vital piece of evidence. Admitting fault. Many people say "I'm sorry" when talking to the other driver or people who are injured at the scene. However, anything you say after the crash can be taken literally, and apologizing can be seen as an admission of guilt. Whether your actions played a role in the accident or not, it's best to stick to the facts and be cooperative at the scene, but avoid unnecessary conversation. Losing evidence. Evidence is lost little by little after a crash, and can be completely gone after the scene has been cleared. If you're able, take pictures or video of the scene, including damage to the vehicles, skid marks, position of the cars, street signs, guardrails, and weather conditions. Not seeing a doctor. It's vital that you seek medical treatment as soon as possible after a car accident, as you may have sustained an injury that is not immediately apparent. In addition, you may be judged on the seriousness of your injuries when filing a claim, and if you don't see a doctor right after the crash, the opposition may claim that you weren't badly hurt. Failing to notify your insurance company. 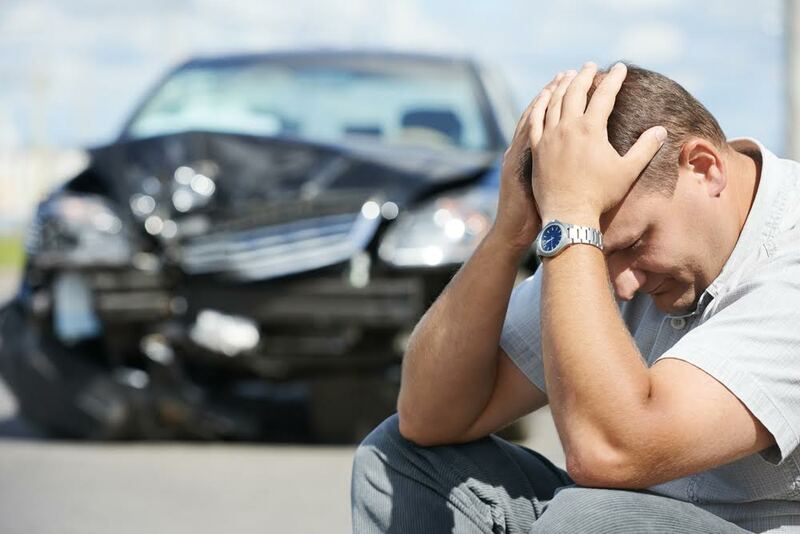 You should file a claim with your insurance company as soon as possible after the accident. There are strict time limits on how long you have to file for reimbursement of your expenses, and your insurance company can use your delayed notification to devalue your claim. Trusting an insurance representative. Although you have to deal with your insurance company, you should never assume that you're on the same side. Even a friendly representative is working for the company, not you. Do not sign documents, give a recorded statement, or otherwise interact with your insurance company without consulting an attorney first. Talking to the other driver’s insurance company. If you can’t trust your own insurance provider, than you definitely cannot trust insurance representatives of the other driver. They are ultimately looking for ways to pay out less to claimants, and anything you say could shift the blame onto you. Discussing the crash with friends. Anything you say to a friend, family member, coworker, or to the public can be used as evidence. For example, if you post a picture of yourself attending a party on social media, your insurance provider may see it and deny your claim because you don't appear to be as injured as previously stated. Similarly, individuals can be called as witnesses, so you should avoid talking about the accident with anyone other than your lawyer. Failing to seek legal advice. Many victims are shocked when they receive low settlements from their insurers, but accept them because they don’t understand their rights. An attorney can examine the facts of your case and get you the compensation you deserve from an at-fault driver or an insurer. If you're struggling after a car accident, we can help. Our accident attorneys don't charge any upfront fees in injury cases, so contact us today for an evaluation of your case.